Anyone who’s a fan of Solenn Heussaff is probably familiar with her grueling gym sessions, but even Solenn knows that the key to fitness is variety. You can’t let your body get used to the same workouts, otherwise you’ll stop seeing results. That’s why she makes sure to find other ways to be active! 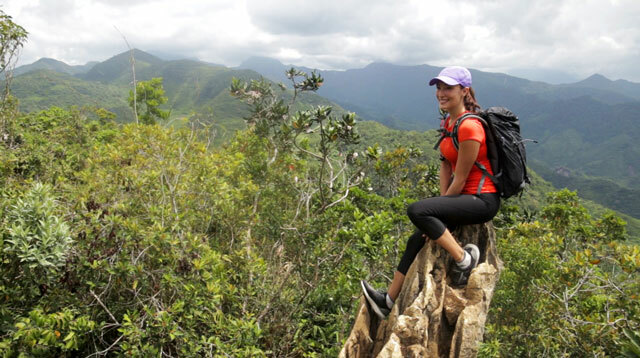 On one of her outdoor adventures, Solenn climbed Mt. Daraitan, which is located in Tanay, Rizal. If you keep a steady pace, it can be done in just under three hours—Solenn made it look SO easy! And at 2,300 feet above sea level, the view is STUNNING. After a long day of trekking, you can enjoy a quick dip in the cool waters of Tinipak River. VIDEO: Ray Gonzales, Daniel Ocrisma.